Forest is about 370 acres most coniferous forests. Maintained fields are about 138 acres, which are used for bait. The slender gives silage / hay silage to our own animals. Unmaintained fields are about 80 acres. The balance between crown and soil vegetation is important because the sheep graze the herbs while the cows graze the grass. Water and associated wetlands are approximately 215 acres. Plenty of fishing in both lakes. 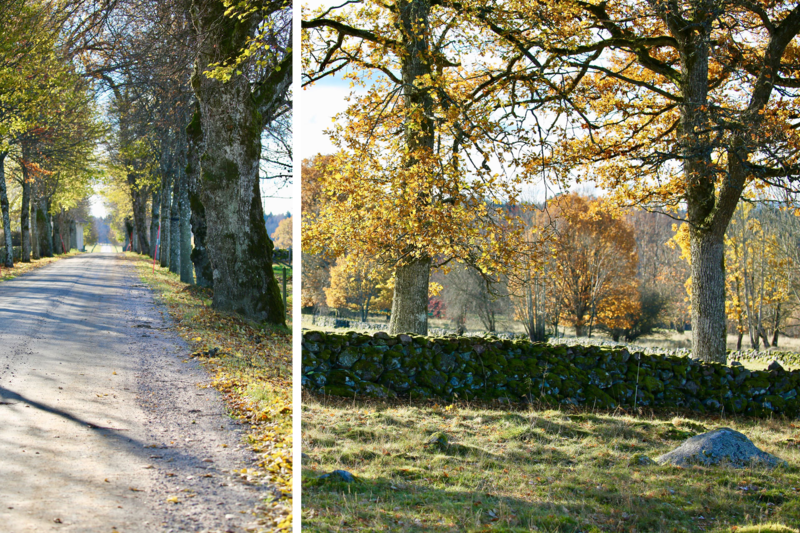 The tree alleys give a beautiful and impressive impression on the arrival of Toarp Säteri. There are over 300 trees in our alley in different sizes. The state walls are in the low wide form that is tradition in the countryside. 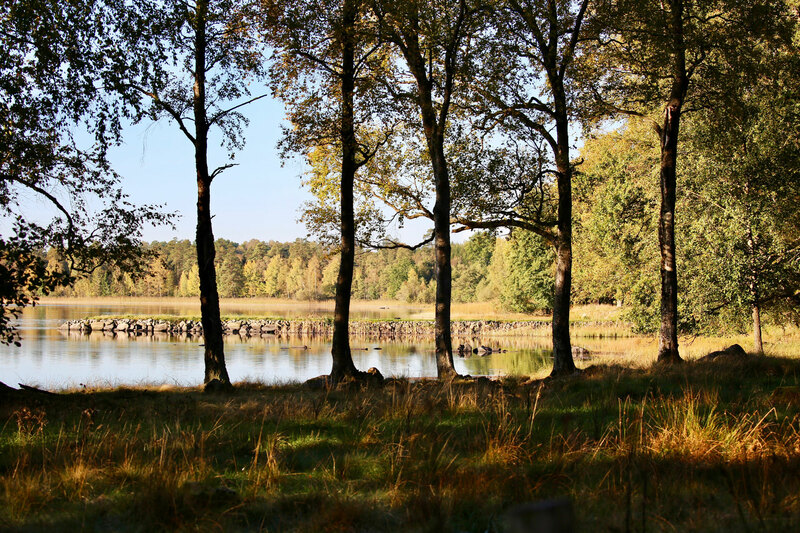 The fields are enriched with Oak and Hazel, which offers a rich flora and fauna. Heron, Crane, Black-throated diver, Osprey, Falcon, Hawfinch and other bird species breed on the fields. The islands are covered with forest in Bystad lake. With a small rowing trip with one of Toarp’s boats, Ladö or Flatö will have a nice barbecue time. The hunting fields have rich wildlife strains. 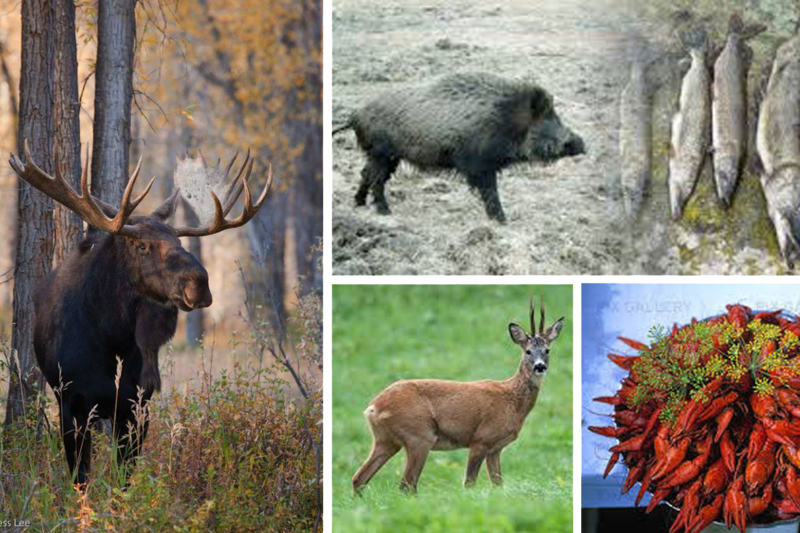 Moose, deer, wild boar, hare and bird with good growth. With over 20 hunting towers, accessibility is good. There are plenty of crayfish in both ponds and lakes. In the yard’s three ponds, the rare River Crayfish is grown.